Sheridan Worktops are the UK's largest supplier of luxury kitchen worktops to blue chip companies, independent retailers and traders. From our specialised manufacturing facility in Yorkshire, we produce and deliver hundreds of bespoke and custom worktops every week. Our nationwide network of trusted installation engineers ensure that every worktop we deliver meets our high quality standards, every time. Our surfaces listed in this section are exclusive to trade customers. 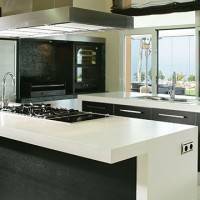 If you are looking for a worktop to your new home, please click here to view our ex-stock clearance section with huge discounts. 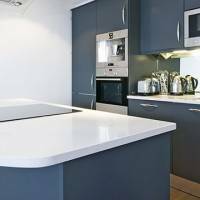 We take every care in producing our worktops to the highest standards, which is why we offer 10 year limited manufacturers warranty on all our surfaces. We developed the Apollo range of worktops to offer a cost effective alternative to some of the industry's leading brands, without sacrificing on quality. 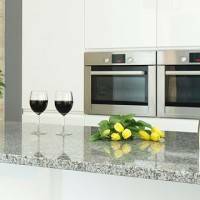 Find out more about Apollo Worktops. Slab Tech worktops represent the latest cutting-edge of kitchen trends, offering a seamless and consistent stone-effect finish which is warm to the touch. 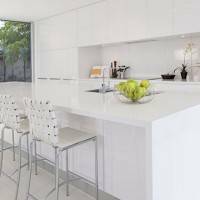 Apollo Magna is our trademark Solid Surface worktop brand. Magna is a cost-effective, hard wearing and easily maintained worksurface available in a range of designs. Created by nature, crafted by Sheridan. Our Granite worktops offer timeless natural beauty in a stunning selection of styles, each piece completely unique. From the manufacturers of Silestone, Dekton is a sophisticated next-generation worktop which offers extreme durability for both indoor and outdoor use. Apollo Ceramicá is a next-generation engineered stone, boasting extreme resistances to wear and damage, and available in a range of beautiful and consistent natural colours. 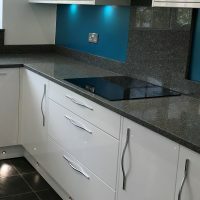 Apollo Quartz worktops are prized for their durability, cost effectiveness and unique crystalline finishes which range from neutral mosaics to brilliant metallics. Silestone is a leading name in Quartz manufacture, operating in over 50 countries worldwide, and offering an unparalleled selection of styles. Apollo Compact is the newest innovation in composite materials, a Solid Grade Laminate which offers a slimline, modern alternative to bulky designs of the past. 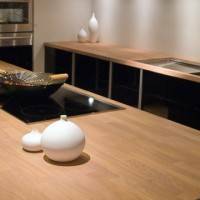 Wooden worktops have been a consistent presence in the market, delivering a classic appeal that never goes out of style and is perfect for traditional kitchens. 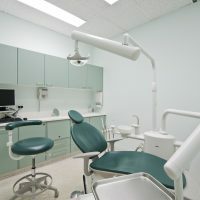 For Dental Laboratories, our Dentop range is a purpose-built solution, delivering slimline, ultra hygienic and chemical resistant surfaces that are easy to maintain. 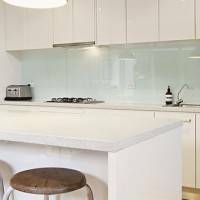 Surprisingly durable and exceptionally beautiful, Apollo Recycled Glass has the appearance of Quartz, with an added dimension of depth through lavish surface crystals. Corian is the original solid surface material, and as such offers an unrivalled selection of colours. Versatile and consistent, Corian is ideal for complex designs. 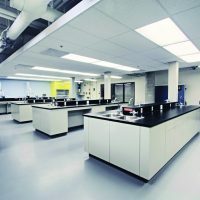 Apollo LAB20 is specially designed for educational and healthcare applications, benefiting from high chemical resistance and affordability in a slim 20mm profile worktop. © Copyright 2019 - Sheridan Ltd.
Sheridan Fabrications deals exclusively to trade customers. To purchase a worktop from our ranges, please contact one of our Commercial Partners or choose from our discounted range of ex-stock. We will process your data for the sole purpose of delivering content in accordance with the choices made above.